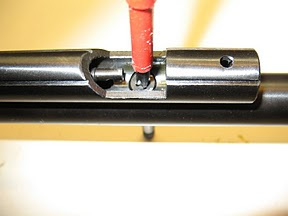 To remove the safety lever must first set it to the "S" Place a block under the module trigger and safety lever rod knock. 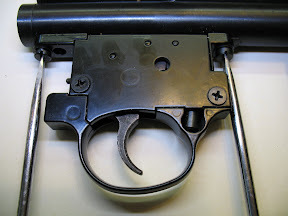 After knocking out the safety lever. 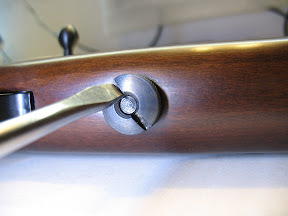 Unscrewing the lock nut from the bottom of the barrel to hardwood stock. 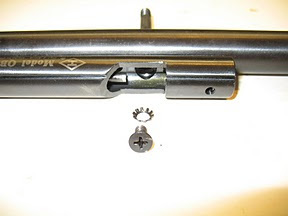 Separating trigger casing assembly requires unscrewing two screws. 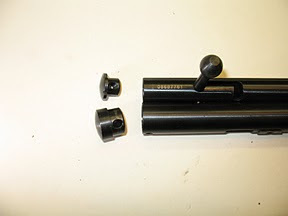 Unscrew the screw compression strap. 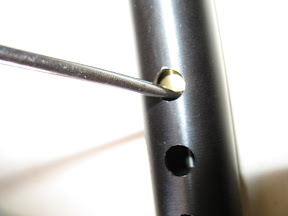 To unscrewing use allen key, size 2.5. 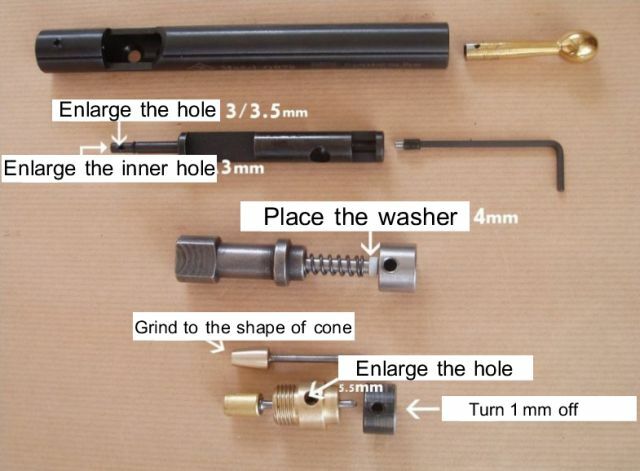 Remove the barrel of a strong, firmly, pulling along the barrel. 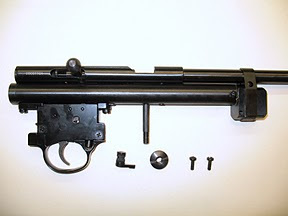 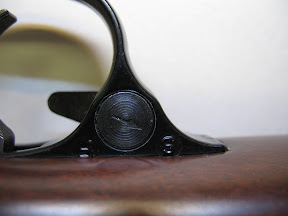 After removing the screws of the trigger assembly remove plugs from the casing tube and breech. 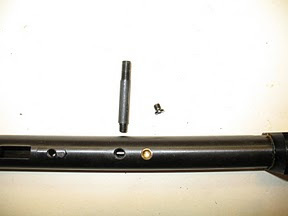 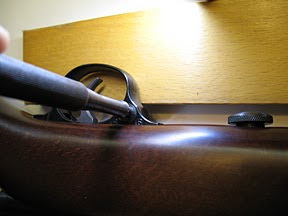 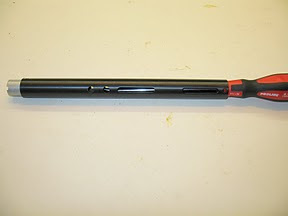 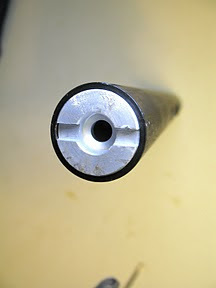 Under the barrel, after removal, there is a bolt connecting two tubes of the body/housing. 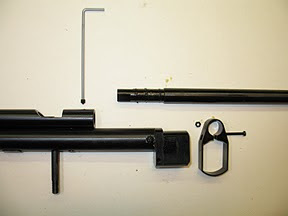 To remove the breech bolt put back Allen key. 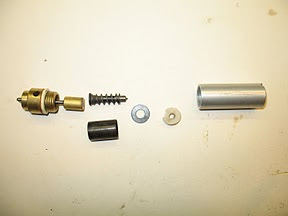 Dismantled components tube and breech. 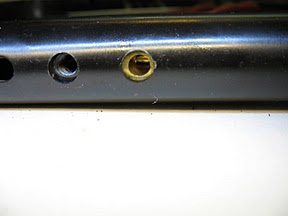 Unscrew the screw and unscrew completely locating screw for fastening hardwood stock. 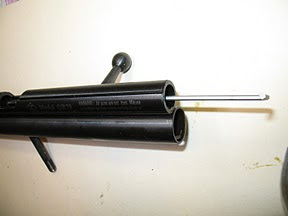 Pushing the valve is possible in many ways, for example by pushing it through the hole in the tube with a screwdriver. 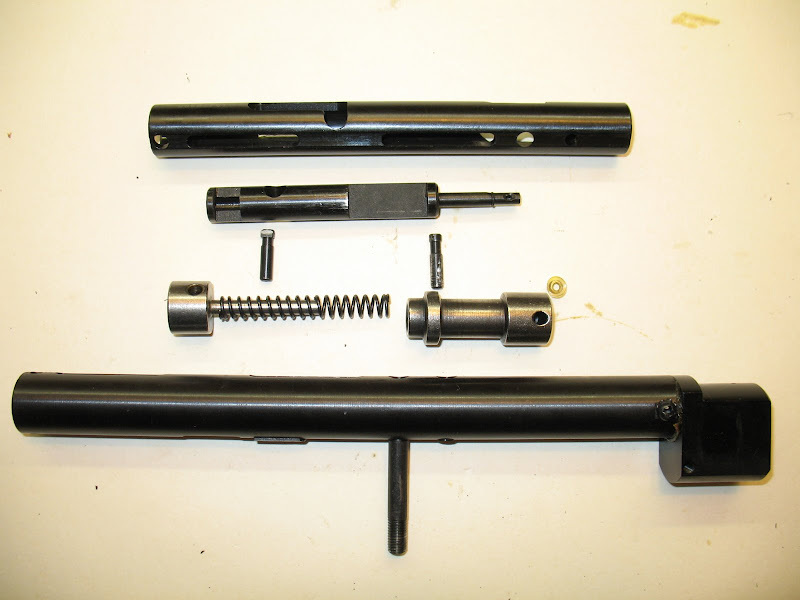 When reassembling, change the spring. 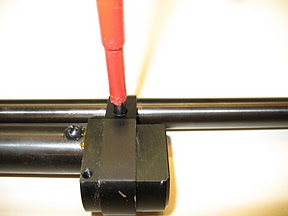 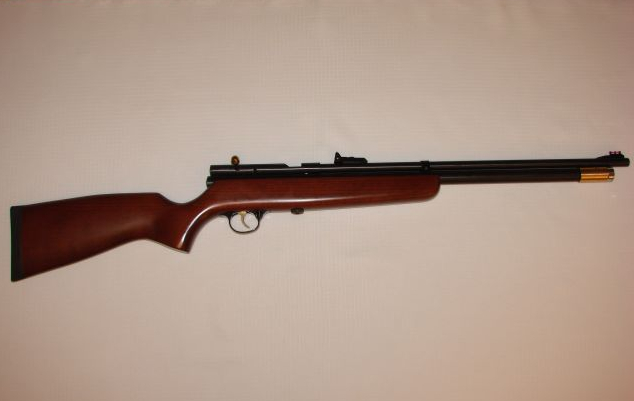 Tuning to vastly increase the muzzle velocity and power of your QB78 air rifle! 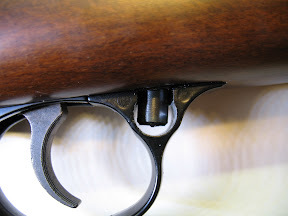 Muzzle energy increases from about 25 ft/lbs for a .22 caliber gun. 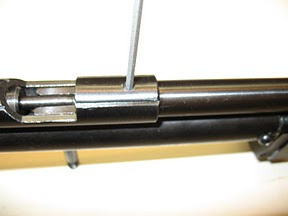 Muzzle energy increases from about 22 ft/lbs for a .177 caliber gun. 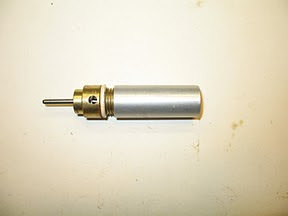 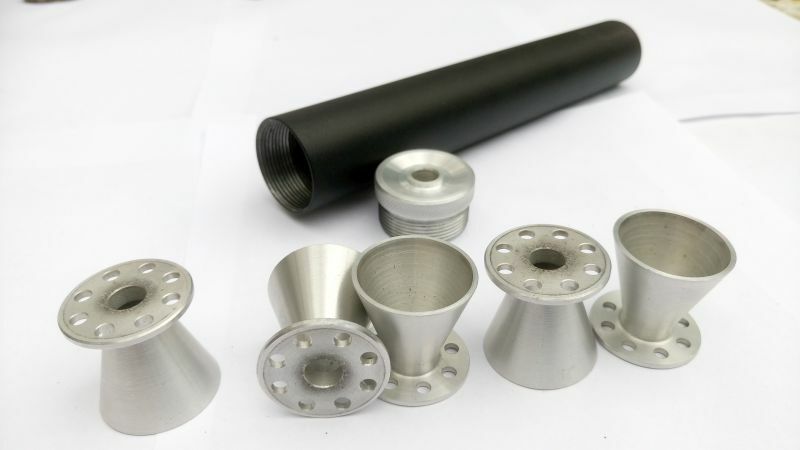 the effect is big enough when you are able to put a valve into a tube.